Who has this nasty, revolting sounding croup??? This little fellow here, eating a grape popsicle, while watching cartoons in the ER. This is after he perked up. 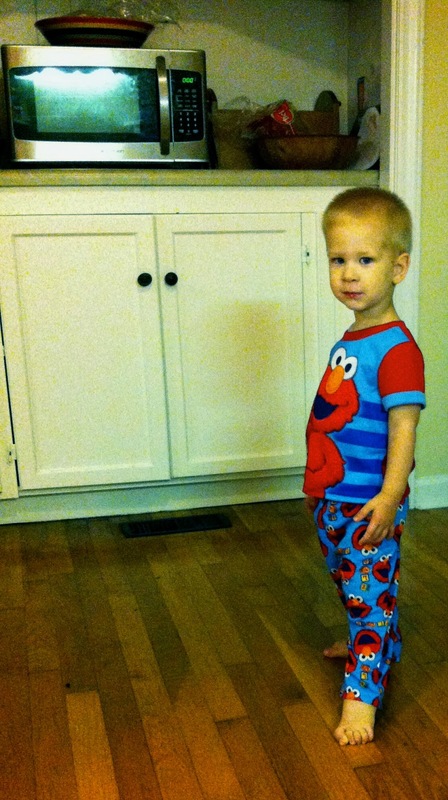 He was a pitiful sight until after his fever went down. Very thankful for Nurse Kelly in triage and the Tylenol she had on hand. We were at the hospital all afternoon, not arriving home until around 5pm. That ER visit just took it out of him… that is until I attempted to pick him up and put him in his crib….Apparently that is about the time the steroids he was given at the ER decided to kick in. 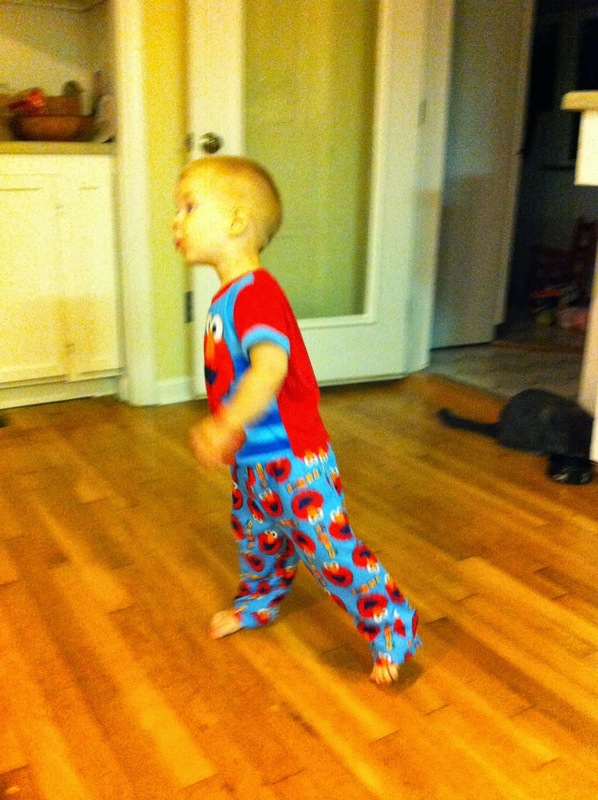 By the end of the night he was bouncing off the walls a wee bit. 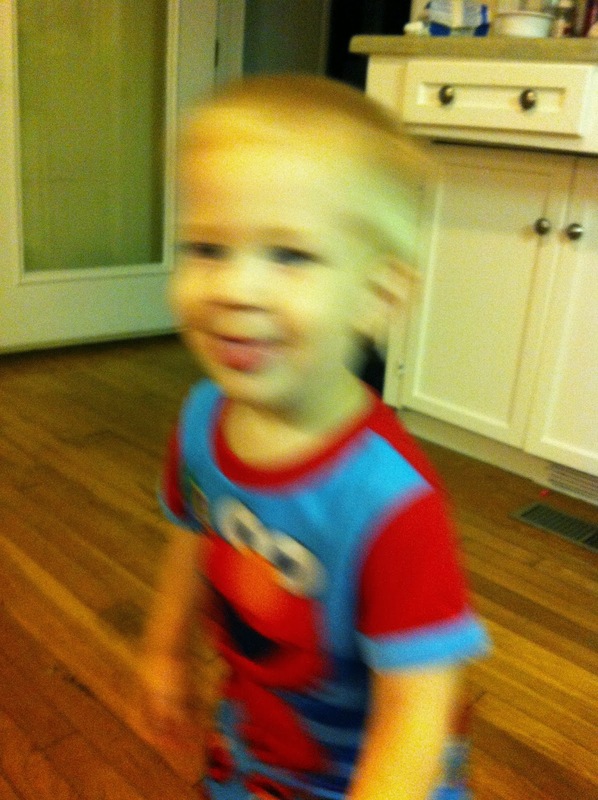 He couldn’t even hold still for me to get a picture of him in his new Elmo pj’s. 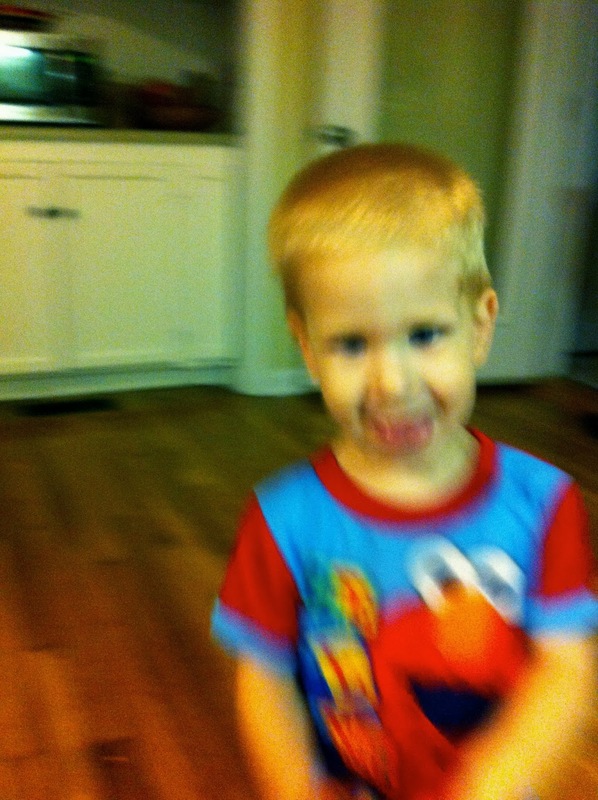 He was just too busy running around the kitchen with his tongue hanging out to stop for a photo op. Had this been my other child, there would have been posing and smiling like I was a photographer for Vogue. This is about when he and Lily started to bark back and forth to one another from the living room to the kitchen. Steroids can work all kinds of wonders apparently. The croup is still there, but lil’ man is feeling much better thanks to Nurse Michelle and her wonderful vial of steroids. NOOOOOOOO! Poor baby! Poor Mommy!